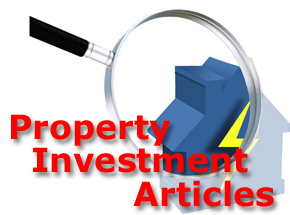 What Are Property Investors Missing? There are always a great many topics surrounding property, investments, tax, entrepreneurship, strategies, and lots more being discussed every week on the exclusive private members forum and the information being shared is practical, really informative, fact filled and incredibly useful for all levels of property investor. Member only forums allow serious property investors to engage with like minded people who share a common goal – property! There are no internet trolls to spoil stimulating conversations and there is a good friendly community who are ready to offer practical help as well as provide a great deal of useful information. PIN Academy costs members just £48 per month with a considerable discount for annual membership, click on any of the banners or links to discover more information. There is little excuse for property investors to claim that they are not aware of the latest happenings in the UK property market, or that they are not up to speed with the very latest cutting edge strategies being used by the most creative property investors. PIN Academy is educational reading even for the shyest of people, there are so many different aspects examined by property professionals and new property investors that even a lay person would learn something! Why not try the PIN Academy for yourself and see the benefits first hand, it is worth the monthly fee and the savings that can be made are priceless soany expenditure will soon be repaid by the knowledge gained! We’re going to give you access to something brand new from our friends at Progressive Property, which will help you achieve property investment success. 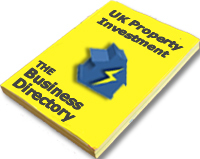 Before we get to them, can you remember when property investment information was HARD to find? When ‘what you didn’t know’ held you stuck at your current level of success? If you can relate to this, then the most C L E A R, fundamental, direct (and possibly no cost) training Progressive have ever run is perfect for you. How to Banish Confusion & Overwhelm & Make Real Income Faster using the same strategy EVERY multi-millionaire property investor uses. The Fundamentals first – 5 simple steps to succeed from SCRATCH (not for ‘Experts’). The Right Income Strategies and properties for YOU. If you’ve ever felt overwhelmed, confused or frustrated, but you really do want more property income & faster progress. This is **Brand New** training, that promises to be intimate, with a maximum of 30 people, at the Progressive Training Academy. You’ll see on this page that Progressive are going to be granting some scholarships for those new property investors that fit their criteria. Understanding The Law Of Attraction Brings Powerful Rewards! Understanding The Law Of Attraction Brings Rewards! The law of attraction is the name given to the belief that “like attracts like” and that by focusing on positive or negative thoughts, one can bring about positive or negative results. This belief is based upon the idea that people and their thoughts are both made from “pure energy”, and the belief that like energy attracts like energy. You may think that this concept has little to do with property, business or entrepreneurship but there are times when being in property can be a lonely business, as close friends and even family don’t often understand or support the business practice of using property as a means to financial freedom, because they don’t understand what you do. Not everyone will understand, what you do, what your aiming to achieve, what you really get from doing what you do, it is a concept that is way beyond them. Would you like to make an extra £5,000 (GBP) per month, part time from property? Top UK property investment educator, Simon Zutshi, is hosting a very special no cost webinar tonight at 9pm to share some of his specialist knowledge to help property investors make more money from property. If you don’t think it is possible then you really need to join Simon tonight (3rd February 2014) at 9pm, on a free webinar on which he will teach you two different strategies, either of which can help you achieve an extra £5000 per month from property. To reserve your place on this fantastic webinar opportunity just Click here now and you will be sent an email with the webinar joining Instructions. Please Note: Simon normally only share these strategies on his advanced three day Mastermind Accelerator workshop, however he has decided to share them on this no cost webinar because he is fed up of people saying they don’t have enough money to do the things they want to do or they can’t seem to make any real money in property. That seems crazy to Simon as once you know how, it is actually straight forward to make all the money you want from property, if you have the knowledge and are prepared to take the necessary action. Sometimes all you need to get your property investments going is a little specialist knowledge, and that is exactly what Simon is going to share with you on this webinar to help you start taking action. To join Simon Zutshi on this valuable webinar just Click here now and you will be sent an email with all the webinar joining instructions.